How do you grow a business on a roller-coaster? It’s not easy, but we’re doing it! Recently, Blue Ridge Biofuels CEO Woody Eaton and Business Administrator Melita Kyriakou did a radio interview with Ned Doyle on Our Southern Community, talking about how we’re opening a new factory and ramping up production in spite of highly uncertain markets. Here are some highlights. You can listen to the whole conversation here. Last year, we produced almost 400,000 gallons of biodiesel and we’re planning to ramp that up to 3 million gallons per year! Ned: How about if we start off with a top-down view of the biofuels industry today? Woody: These past few years have been an extreme roller-coaster ride. 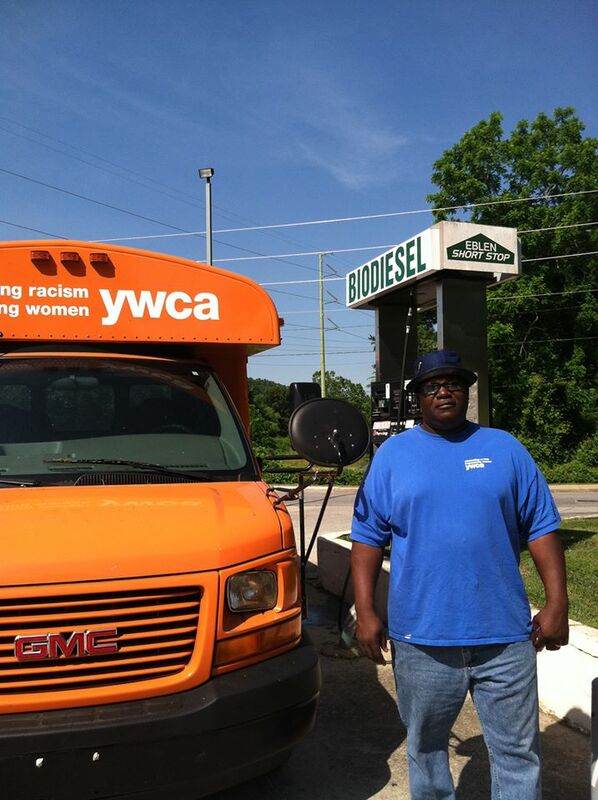 We have continued to suffer from the biodiesel tax credit coming and going. As you can imagine, predicting the future and making plans becomes very difficult when you have [a tax credit worth] a dollar per gallon, which is essentially 25% of your revenue, coming and going. The other federal program that is creating some heartache is the Renewable Fuels Standard, which requires that petroleum refiners and importers blend certain amounts of biofuels into our liquid fuels. We still don’t have those numbers for 2014. So, the industry has already produced fuel, we’ve closed out the books for 2014, and we don’t know how many gallons of biodiesel were supposed to have been produced. That’s created some uncertainty in the marketplace. 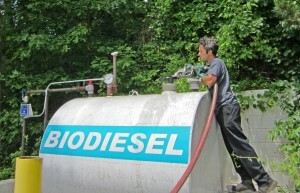 So, a lot of biodiesel companies are waiting to see what’s going to happen. People are cutting back. A lot of plants are shutting down. But with all that said, Blue Ridge Biofuels has done very well and we are actually expanding. Ned: There’s something good going on here! Somebody’s getting it right. Woody: I think some of the reasons we’ve been successful is because we’re vertically integrated. We’re collecting feedstock from local restaurants. And then we have our own fuel distribution customers. We do home heating oil. 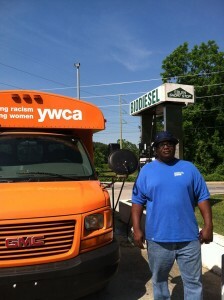 We deliver to some local gas stations. And we provide local fleets. On top of all the things we mentioned earlier, we’ve also experienced a huge dip in petroleum fuel prices recently. We are always trying to compete with petroleum fuel, so when petroleum fuel gets as low as it has gotten, it becomes very difficult to keep moving your product. We have put a lot of time into developing strong relationships with our customers. Having that local brand — collecting local resources and turning it into local fuel — has turned out to be a big plus for us. Ned: Blue Ridge Biofuels has been around for ten years. You were one of the first companies out of the gates. Woody: Yes, we started in 2005 and have learned a lot over the last 10 years. 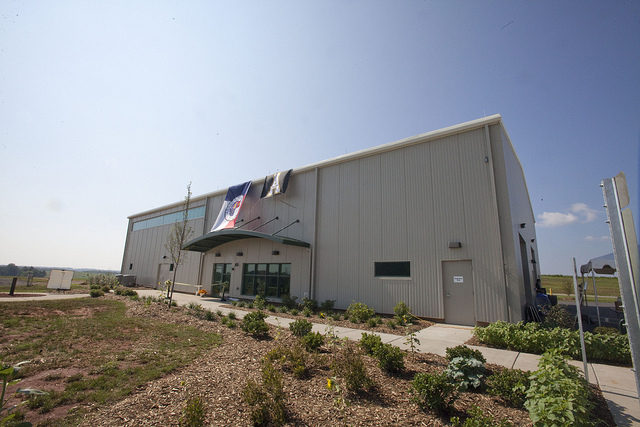 We’re now a BQ9000-certified facility. That is a third party quality certification, which opens up markets for us. Also, we’ve done a lot of process analysis over the last few years, and realized that we had some inefficiencies in our production that could have put us under by now if we hadn’t found them and fixed them. We were able to go from about a 76% production yield to about a 90% yield. So for every 100 gallons [of used cooking oil] going in, we’re getting 90 out. Melita: We’ve tried to take a step back and see where we fit in that broader market so we can continue to be here for our restaurant clients and our fuel customers… We want them to know that we’re doing everything we can to increase our efficiencies, keep our costs low, be competitive with petroleum, meet their needs, and continue to provide the best, most sustainable alternative fuel available. 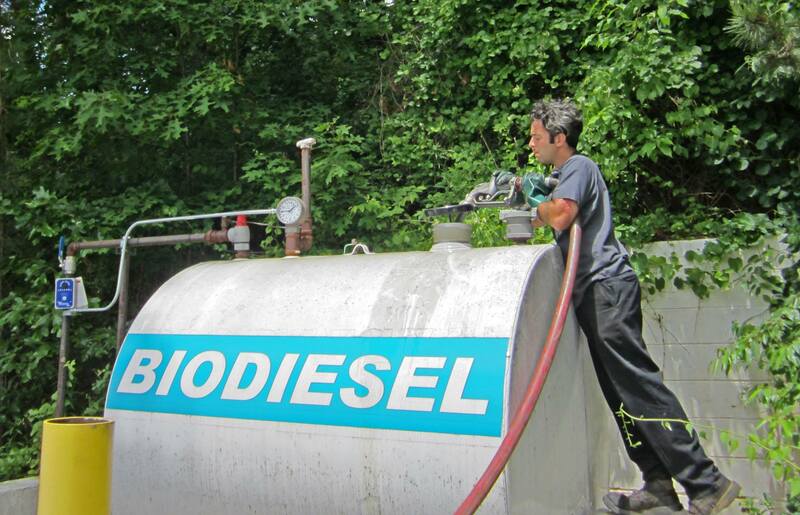 We run Blue Ridge Biofuels like a business, in order for it to succeed. However, that doesn’t meant that we have to be 100% corporate. What we’ve learned is that a business’s success is based on its relationships. Ned: The projections are for up to 3 million gallons of biodiesel per year. That’s a success story where one thing leads to another! Woody: Yes, that’s nearly a ten fold increase in our current production rate, but we are determined to become sustainable without the biodiesel tax credit because we’ve realized that that is something we cannot count on. Part of becoming sustainable without that tax credit is to get our volumes up. So we are focusing on increasing production and increasing efficiency of production. Ned: You folks are getting ready to make a big move. Our new biodiesel factory, in the Catawba County EcoComplex. “This is probably bigger than starting the company,” Woody says. Woody: This is probably bigger than starting the company. We are going to be opening two locations–one here in Asheville, in a partnership with Peak Energy. This is going to allow us to keep our roots. Our headquarters are going to stay here in Asheville. We’ll still be able to maintain all of our customer relationships here in Asheville but we are moving our production facility to a bigger, more state-of-the-art facility [in Catawba County]. It’s a LEED certified building. We’re going to be recovering waste heat from methane gas power generators. [The county is] recovering methane gas from the landfill that’s right next door, burning it to produce electricity. We are recovering the waste heat from those generators to heat the space and run the biodiesel process. This is an expansion into two locations from one, and who knows what the future holds? We may add a third and a fourth, on down the road. 0 Comments on "How do you grow a business on a roller-coaster?"